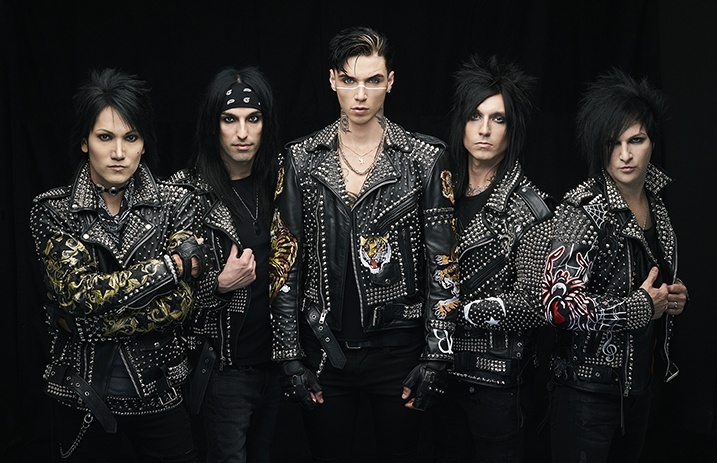 Black Veil Brides are giving fans a chance to preview and shop their upcoming 'Resurrection Tour' merch at Hot Topic's Hollywood location, where all fans in attendance will get to preview the band's upcoming album Vale before its release! This Hot Topic in-store appearance by BVB will take place this Saturday, January 6 at their Hollywood and Highland location. Fans will get to preview and purchase BVB's 2018 tour merch, meet and take a photo with the band and hear a sneak peek of their upcoming album Vale, set to drop January 12. Entry into the signing is available via wristband only, with one wristband and photo per person. Those that are Hot Topic Guest List members can pre-purchase an event-exclusive Black Veil Brides shirt at the Hollywood and Highland Hot Topic location and receive a wristband that guarantees entrance into the event. For more information on the event, click here, and be sure to catch Black Veil Brides on their co-headlining tour with Asking Alexandria at the dates below! Will you be seeing BVB and AA on tour? Let us know in the comments below!